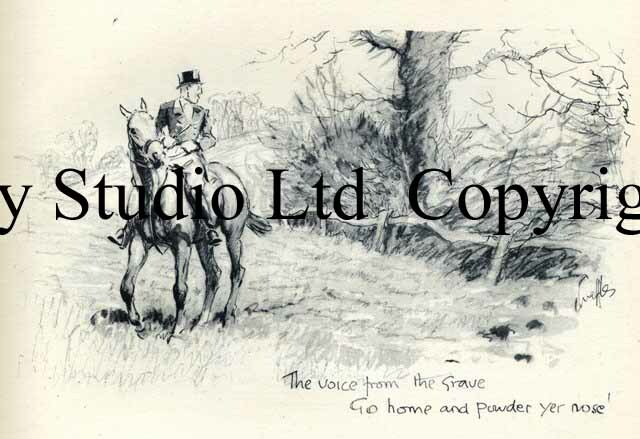 This print is a pair to the previous one HCM014 A Rider warns the General that there is a "Grave of a Drop" the other side of the fence. This print shows what happens. Original print c1949 published by Collins St James Place london." Image size 7 x 9"